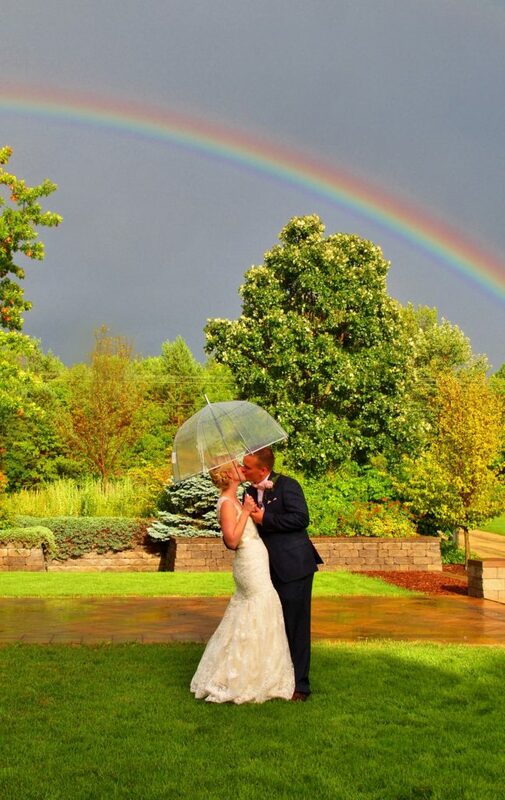 Pop up showers and thunderstorms are not uncommon but don’t let that rain on your parade…or your wedding! You can’t have rainbows without the rain. In the months leading up to your wedding day, you undertake a tremendous amount of planning. 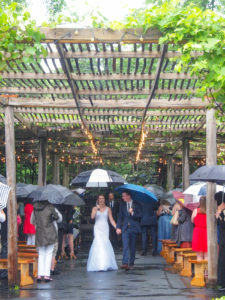 If you’re planning an outdoor wedding, this list is sure to include accommodations for inclement weather. 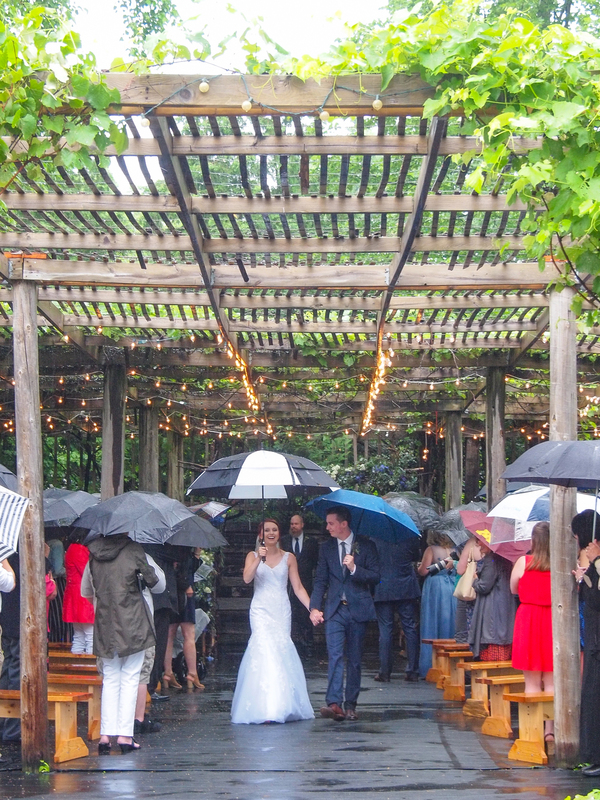 During the summer and fall months, pop up showers and thunderstorms are not uncommon but don’t let that rain on your parade…or your wedding! When making wedding plans keep these tips in mind so you’re prepared for whatever Mother Nature decides to send your way. 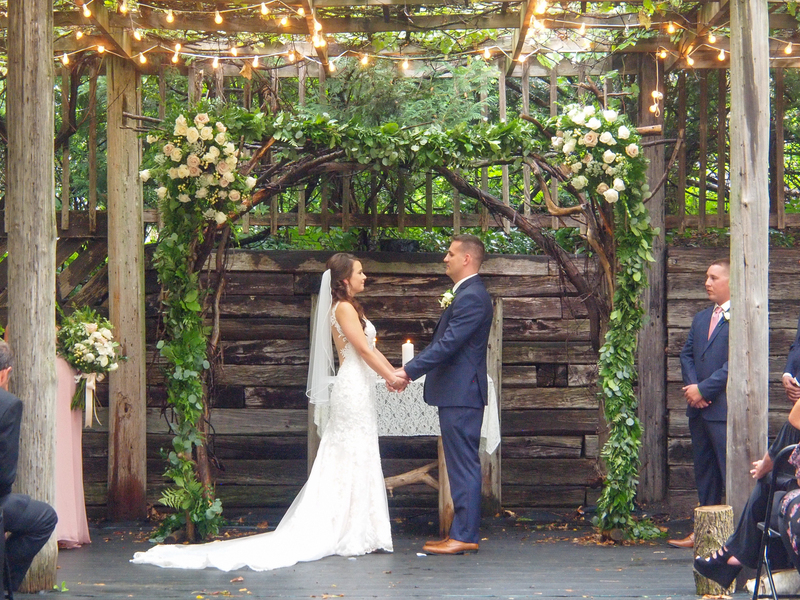 While you have been planning for your special day for some time and know all the ins and outs of your venue, your guests don’t. Make sure to let your guests know what is appropriate to wear regardless of the weather. Do let your guest know if rain is forecasted what would be best to wear and bring along for the day. Add a section to your wedding day website to keep guests informed. Be sure to read the fine print on all the contracts you sign. Will the musicians still play if it’s misting or lightly raining? If table linens, decorations, ceremony chairs, etc. end up wet or muddy what “falls under your umbrella” in terms of responsibility? And on that note- umbrellas! This is one of the easiest ways to ensure that a little precip doesn’t put a damper on the day. For as little as $2.99 at your local IKEA, you can buy a slew of these and keep them on hand ‘just in case’. 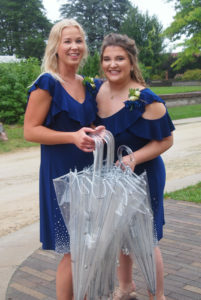 Be sure to choose clear umbrellas for the bride and groom since they will allow light to pass through and keep shadows off faces. If the weather is favorable and the umbrellas unused, they can be easily returned. With rain, the sun hides behind the clouds and it cools off. When the temp drops it’s great to have some blankets available for guests. Towels. It’s wise to keep some of these on hand and out of sight in the instance you need to wipe surfaces down after a rain. A little rain and a lot of love! Not only trendy but also uber practical, it’s smart to stash away some stylish rainboots for each member of the bridal party as well as the parents of the happy couple. If you need to bust them out, look forward to some memorable photo ops! Hay isn’t just for horses. If you’re planning a country wedding and the forecast doesn’t look favorable, spreading hay on the ground will absorb extra water and keep the ground from becoming muddy. It’s also a charming backdrop to a fair day celebration. …which ushers in our next suggestion – shelter! Even if your wedding is on a beach or in an open field, you can easily rent and erect a portable party tent. It gives guests a break from the heat and, strung with lights, makes a magical ballroom. What’s more? If it rains, you’re covered. A few rainy clouds make The Lath House lights shine so much brighter. Last but not least, attitude is everything. 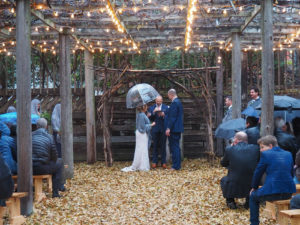 Obviously, rain on your wedding day isn’t ideal and it’s ok to be upset. Just don’t stay there. Maintain the resolve that this is your special day and come hell or high water, nothing will ruin it. So make it memorable! Dance in the rain! 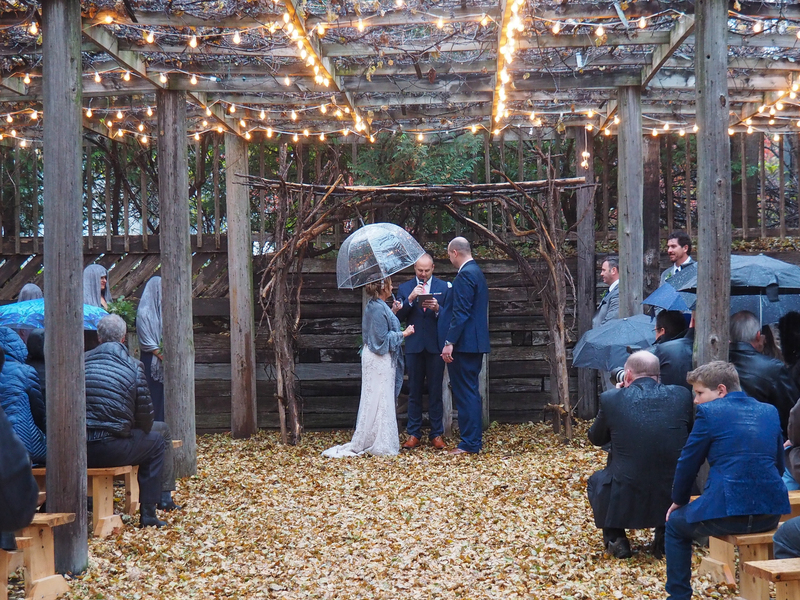 Ask your photographer to capture all the funny little moments the rain is sure to provide. When you embrace what is out of your control, your guests will follow suit.